The other day i was invited to a friend’s house for a breakfast . She made us breakfast burrito , which was very yummy . I never had breakfast burrito , but as the name calls , it contains tortilla shell ,with scrambled eggs , potatoes , chorizo and salsa . It was delicious . So this morning i thought i should give it a try , beside my family loves chorizo . It turns out really good , not to mention it’s so easy , barely anything to it . 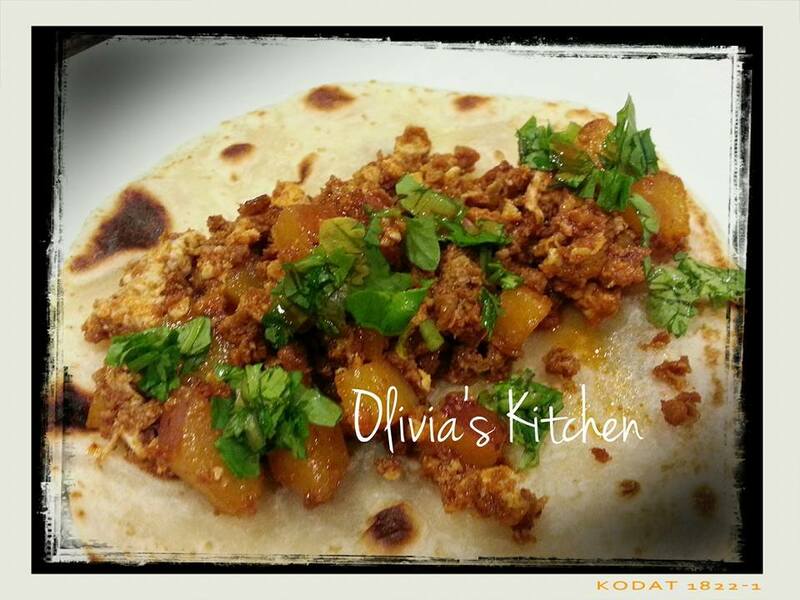 The chorizo gives out all the flavor you need so you don’t even need to add any more seasoning . I added onion and cilantro into my breakfast burrito , i would make the salsa , but as i went to pick up tomatillo from local grocery store , they ran out of hot peppers , they had nothing left , no serrano , no jalapeno .. so i put the tomatillos back and i didn’t buy a thing for the salsa . We ended up having the burrito with tabasco , good enough for now . Brown the onion , then add potatoes , cook about 5 minutes , add the chorizo and cook until the potatoes are tender and chorizo is done . Once you see fat on the skillet , you can crank up the heat to high heat to burn all the fat . Then add eggs into the same skillet , keep stirring or else you will end up with omelette . That’s it !! 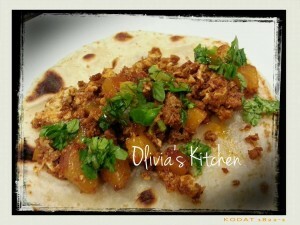 Serve on warm tortilla shells !